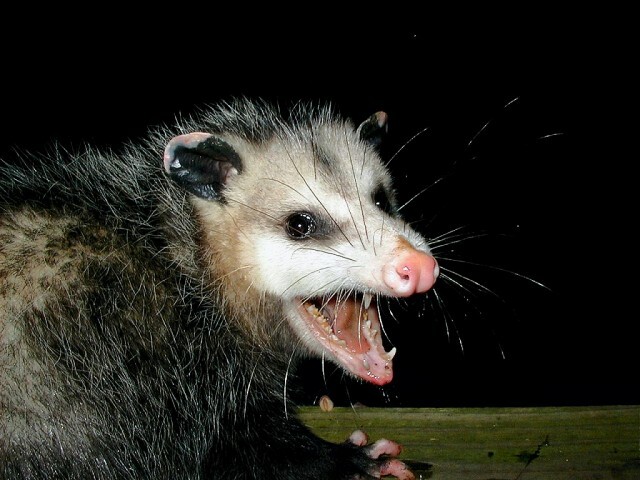 Don’t be embarrassed if you were startled by an opossum in your yard and felt scared by his pointy-toothed, hissing snarl! That’s a common reaction, and it typically leads to a search for an opossum trap to take care of a perceived need for opossum removal. But here’s the thing. It’s all just a big bluff! 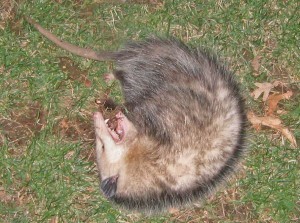 Seriously… opossums are not the least bit interested in biting you or harming your pets. They are very shy, non-aggressive animals who can’t bite or defend themselves well, which is why they do a scary looking bluff routine (hissing, shaking, drooling baring their teeth, etc.) to scare off would-be predators, and if that doesn’t work, they play dead! You are entirely too big to be anything but scary to them, and so are most pets. And, that’s precisely why the one you encountered tried to scare you—simply to keep you at bay until he could get away. First, if you’re assuming that an overturned trashcan was the work of this opossum, merely because that’s who was dining on the contents when you discovered the mess, it’s (almost guaranteed) not how the crime went down. Opossums are just not big enough to pull off a job like that. More likely, a neighborhood dog or a mature raccoon (or two) made the mess. The opossum—a smallish, not terribly strong animal—merely came along to help clean up what was spilled. What is an opossum to do if you are not frightened off by his hissing, toothy grin? He’ll play dead until you go away. Second, if you’re thinking opossums make no useful contribution to your property, so why have them around, here’s good news about this creature that may make you look at him with a bit of well-deserved gratitude. Opossums provide free pest control services; they are voracious consumers of garden pests—snails, slugs, and leaf-eating insects. They even eat some small rodents, reducing the population of creatures potentially looking for entryways into your home. Undeniably good deeds, all of them! So, opossums deserve good press, at a minimum, and, maybe a tiny little portion of your property to help keep things in check? You decide. But if you decide against letting an opossum dwell in your yard, here’s what you need to do—and, guess what? No trap is required, so scratch that unnecessary—and ultimately ineffective—purchase off the list! 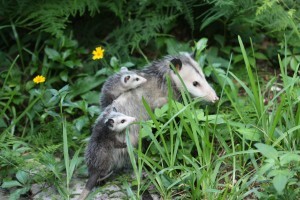 Get to the bottom of this question: Why did the opossum find your yard attractive? With answers to that basic question you can take steps to make your yard unappealing to opossums, so the current one will move along and others will pass you by. Do your garbage cans have tight-fitting lids so they can’t get tipped over by dogs or raccoons? Are your pets fed outside, with dishes remaining out when no one is around? Do you have fruiting trees and leave the fallen fruit on the ground? All these things can present food opportunities for opossums, making your yard seem like a welcoming place to be. Once you’ve cleared up the things that may be attracting opossums to your yard, look to spaces under decks, porches, and outbuildings for denning sites. Wait until two hours after dark, as opossums are active at night. Then, loosely fill in the entrance to such openings with leaves, straw, or crumped newspaper. If an animal is still inside, she can push her way out, but she will most likely not push her way back into the disturbed area out of fear that a predator has discovered her den. Wait two or three nights to see that the space remains undisturbed, and then check carefully for any young that may be inside. An opossum mom will almost certainly have taken her young with her, but it’s still important to check. Next, you need to seal off the space. Dig a trench alongside the opening so you can install an “L-footer” of hardware cloth. This is a bent piece of hardware cloth, placed so that it covers the opening and the area right in front of it to prevent future digging by animals wanting to access the space. 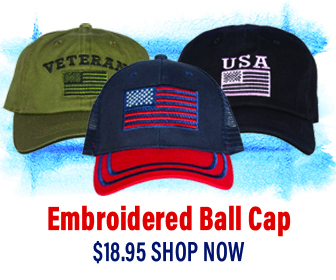 Attach the hardware cloth firmly, and bury the horizontal part with the dirt removed while digging the trench. If, by chance, an opossum wanders into your home via an unsecured pet door, remember, there’s no need to panic—opossums are not at all aggressive or dangerous. Simply close interior doors and open exterior doors and the opossum will find his way out. For extra encouragement, peel a banana and set outside the door and he he’ll be out of there as soon as he gets a whiff of it. Keep your pets inside at night for their own safety, and consider adding a latch to your pet door for nighttime hours—the time that most unintended visitors enter. Or, you can install an electronically operated pet door, which will only open for an animal who is wearing the right signal-emitting collar. Though an opossum’s hissing and drooling open mouth is an alarming thing to see, this is just part of his bluff routine to scare YOU off! 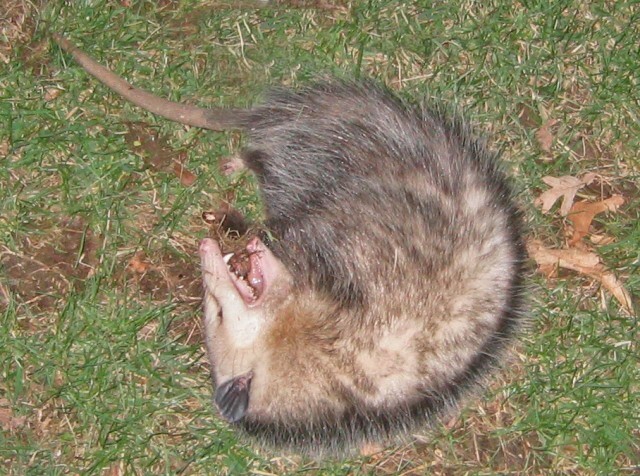 Rabies is exceedingly rare in opossums, almost non-existent. It is believed that possums are highly resistant to rabies due to their low body temperatures. Nonetheless, never touch a wild animal and keep your pets away from them. So, what about that trap idea? A trap may seem like a quick solution, but it fails to solve the problem. There is always another opossum or other wild animal to come along and take the place of the one you caught. That’s why the combined approach of reducing attractants and taking steps for exclusion from likely denning spots is the hands-down best solution for any homeowner who doesn’t have time or money to waste. i have a opossum in my basement,can i just pick him up and take him out side ?